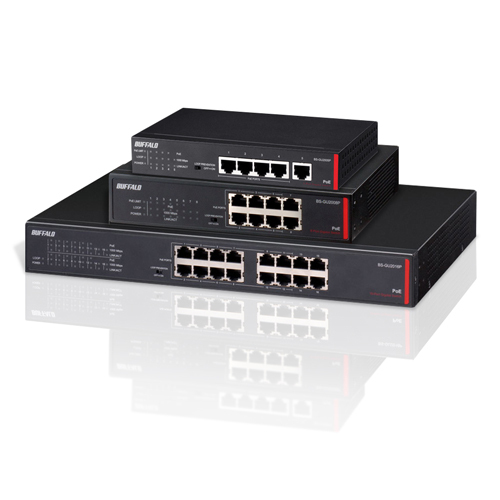 Featuring 5, 8 or 16 gigabit ports including 4, 6 or 12 PoE ports and a maximum 50W or 120W PoE budget respectively, the BS-GUP series provides sufficient power for standard networked devices. 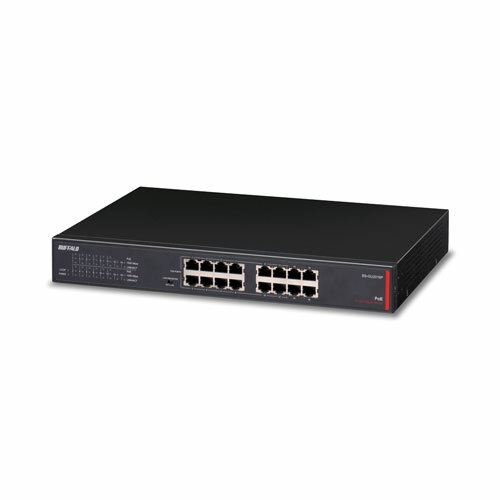 Simply plug your network ready devices into one of the available Ethernet ports. 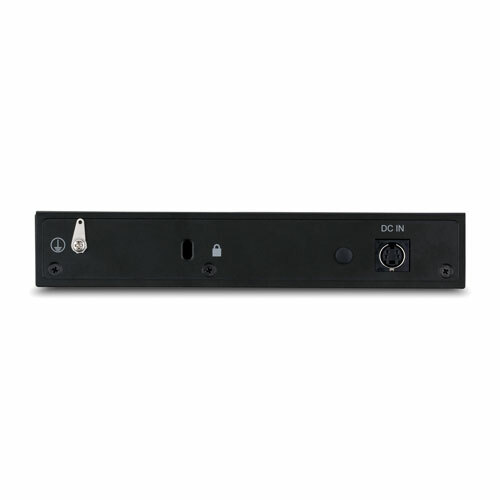 Each AUTO-MDIX port automatically detects and configures the correct connection while optional jumbo frame support and full duplex operation provide maximum performance, up to 32 Gbps of total bandwidth on the BS-GU2016P. The BS-GUP series features power-saving 802.3az Green Ethernet technology and an energy conservation feature that monitors the activity status of each port to reduce the total power consumed. 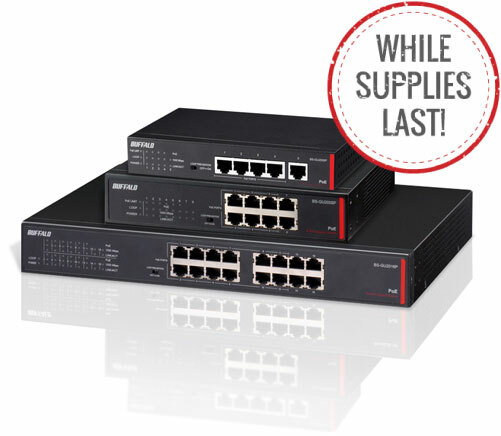 Gigabit Ethernet, high power PoE, eco-minded operation, performance-minded features and a lifetime warranty make Buffalo's BS-GUP series of Multi-Port Gigabit PoE Switches a perfect network extension solution for your office. 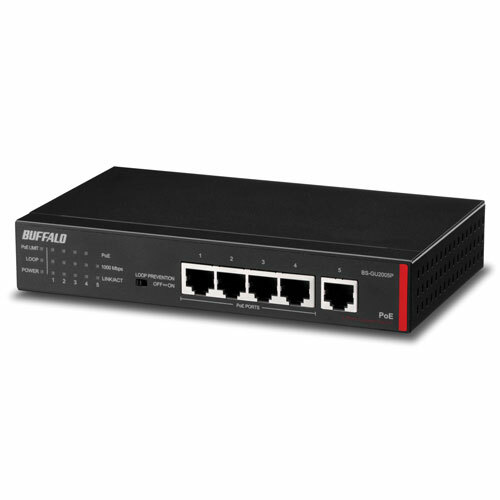 Buffalo's Gigabit Green Ethernet High Power PoE Switches come with a compact and durable all metal chassis and are all but the 16-port fan-less which provides silent and reliable operation. Buffalo's lifetime warranty* ensures that you will never have to replace your switch due to defects. 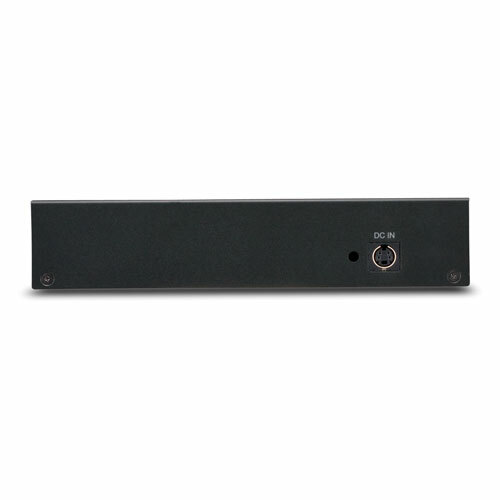 Buffalo's BS-GUP series of Gigabit Green Ethernet High Power PoE Switches offers network design flexibility without the reliance of AC power through its high power PoE feature. Many devices including routers, surveillance cameras andhome automation equipment can be powered through PoE which allows you to place these devices anywhere in your home or office, regardless of whether there is an AC outlet available. In addition, the fact that PoE eliminates additional AC power cables reduces clutter and gives your home or office a cleaner appearance. Integrates any Ethernet enabled device with plug and play setup including PCs, TVs, gaming consoles and other digital home appliances. 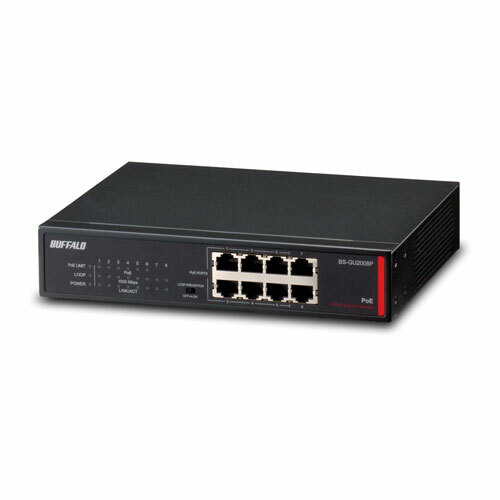 Multiple gigabit Ethernet ports provide fast transfer rates of large bandwidth intensive files including graphics and multimedia. 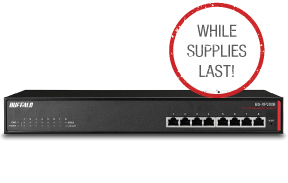 Buffalo's Gigabit Green Ethernet High Power PoE Switches come with a loop prevention feature that shuts down the port(s) where a network loop is detected. Buffalo Americas, Inc. Power over Ethernet products (including, but not limited to, BS-GU2005P/BS-GU2008P/BS-GU2016P; and BSL-POE-G2105U and WAPS-APG600H) are licensed under one or more of the following U.S.
Buffalo's Gigabit Green Ethernet High Power PoE Switches come with a compact and durable all metal chassis and are fan-less which provides silent and reliable operation. Buffalo's lifetime warranty* ensures that you will never have to replace your switch due to defects.